Born on January 13, 1913, named as Saraswati Candra Majmundir in the western state of Gujarat, India. By the age of nineteen, despair and futility took him four times to the edge of suicide. Swami Pranvanandji known as Dadaji (beloved grandfather) mysteriously appeared to him to save his life from the last suicide act and initiated and trained him in the ancient secret practices of yoga over a fifteen month period in Mumbai, India. Then he mysteriously disappeared. After ten years of a worldly life that ended in disillusionment as well as suffering due to the separation from his guru, Bapuji took Sanyasta Diksa (initiation as a monastic renunciate) from Swami Sri Santananda Maharaja. Bapuji was given the name Kripalvanada-blissful giver of grace. For eight years, he carried out spiritual educational and cultural services through humanitarian projects for human upliftment. In 1947, his guru (Dadaji) reappeared to him in his divine body form in the Himalayas and disappeared after giving his guidance. Finding himself still unable to remain with his guru, he struggled in his practices to the limits of his strength to attain purity. Three years later, in a bright night in Rajpipla, Gujanat 1950, his feeling of inadequacy and anguish once again turned into a crisis which brought his guru back in a glowing body of light. Dadaji consoled Bapuji and turned his tears to ecstasy as he told him to begin formally practicing yoga. Soon after, Kripalvananda began meditating regularly and progressing step by step. Through this regular practice, he eventually came to know his guru as a subtle inner presence. In 1955, Dadaji revealed his true identity to his disciple in Kayavarohan the ancient center of Indian civilization. 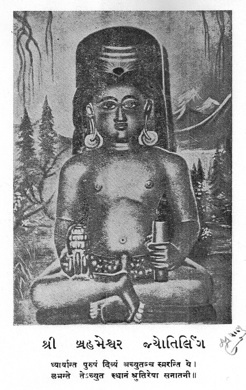 As Kripalvananda sat before Brahmesara’s Joytirlingam (holy statue), he saw Dadaji’s true form as Lord Lakulisa, the twenty-eighth incarnation of Lord Shiva. The figure of his divine guru was the very same image as that on the front of the statue. Soon after in meditation, Bapaji was finally able to master a difficult stage of yoga. This attainment was accompanied by divine visions of ancient Kayavarohana, along with visions of the great sage Visvamitra and his own guru, Dadaji. Then Lakulisa and Visvamitra commanded him to revive the ancient city as a center of yogic study and pilgrimage. Bapuji came to the USA, between May 1977- September 1981, under the auspices of ‘Kripalu Yoga Fellowship’ established by his disciple yogi Amrit Desai, at Sumneytown, Pennsylvania. During his presence for 4 1/4 years in USA, Kripalu Teachings’ spread through discourses in North American as part of fulfilling his diving mission. He lived in seclusion most of the time maintaining silence (except for teachings/discourses) and sadhana for the final stages of samadhi to attain divine body. On his return, in September 1981 to India, Bapuji left his body at Ahmedagad, Gujarat, India on December 29, 1981. 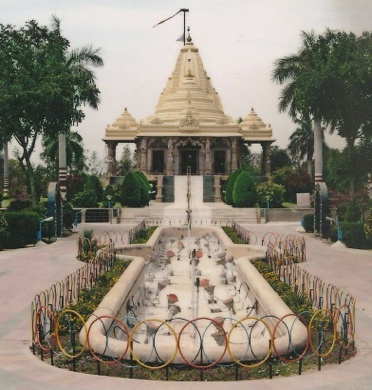 As per Bapuji’s instructions, his body was buried at Malav, Gujarat, India; and in his loving memory ‘Kripalu Samadhi Mandir’ is built and dedicated in 2008. ‘Kripalu Sadhana Mandir’ was established by yogacharya Swami Shri Ashutosh Muni, who was instructed to create this entity.